NEW YORK--(BUSINESS WIRE)--Argosy International Inc., a leading supplier of advanced composites and related materials to the global aerospace industry, has started construction of their new 39,000 square foot honeycomb core facility to be strategically located in Alabama close to the new Airbus and Boeing aero clusters in the Southeastern USA. Argosy’s commercial grade aluminum honeycomb core is a noncombustible material manufactured in multiple cell sizes from 3/16” to 1” with two different density options for each cell size, and can be provided with both chrome and non-chrome coatings. The new facility will be certified to ISO 9001 and features a carefully designed cutting room (vertical band saw), industrial dust collection system, and a staging area for material. Inventory locations will be dedicated for standard stock material (HOBE commercial grade 3000 and 5052 series) and customer specific stock material. To constantly monitor quality of product and produce expanded core product, an expander table will be installed. The configuration of the new space allows for future growth such as additional saws and room for inventory. Initially, the cutting room will be dedicated to serve panel manufacturers involved in the clean room, mass transport, marine, and building industries. The facility will provide US panel manufacturers with a local manufacturer and distributor of honeycomb core products. Argosy will also provide a dedicated Customer Service team and value added services such as Vendor Managed Inventory (VMI) storage solutions, consignment opportunities, slotted core, and kitting services. Argosy is dedicated to providing efficient logistics with product kitting options for customers. Established in the United States in 1988 as a trading company, Argosy began to focus on the commercial aerospace market in Asia when the Company became the material solutions provider for composite materials and specialty chemicals to a major aerospace manufacturer. To support this business, Argosy opened its first overseas office in Taiwan. Over the next five years, Argosy became a key supplier to China and was well positioned in this market when outsourcing to Asia by aircraft manufacturers such as Boeing, Sikorsky, Honeywell and Eurocopter took off in 2000. To serve the needs of the market, Argosy opened offices in Beijing, Xian, and Shanghai, China as well as in Korea, Malaysia, Singapore, India and Australia. Currently, Argosy is an approved supplier to every major aerospace contractor in Asia, excluding Japan. Argosy serves a diverse group of markets but concentrates on aerospace, automotive, tooling and prototyping for industry and electronics. We serve these markets with specialty chemical products including tooling resins, adhesives, coatings, potting compounds, specialty tapes, film adhesives, honeycomb, sealants, prepregs and high performance fabrics. 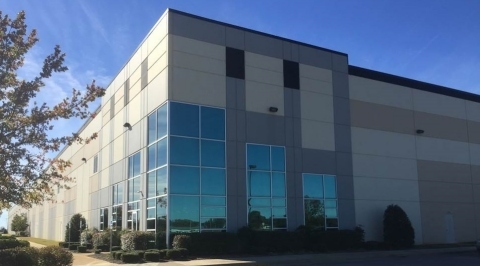 Argosy International Inc. has started construction of their new 39,000 square foot honeycomb core facility strategically located in Alabama close to the new Airbus and Boeing aero clusters.